The spatial domain on which the solution is computed is divided into non-overlapping cells. For 2D and 3D domains, we use curvilinear quadrilateral and curvilinear hexahedral elements, respectively. The specification of a particular spatial domain is given by the DomainCreator. DomainCreators specify the properties of the initial elements (before AMR takes place), which are then used by Domain to create Blocks. Each Block holds a CoordinateMap (described below) as well as information about its neighbors. For geometrical domains, (e.g. rectilinear, spherical) there are a few shortcuts that can be used such that a user does not need to specify by hand the map and neighbor information for each Block; these methods are explained below. 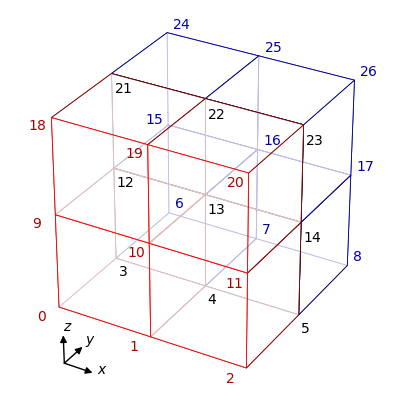 Each Block in the Domain must hold a CoordinateMap which describes how to map the logical cube (a domain that goes [-1. 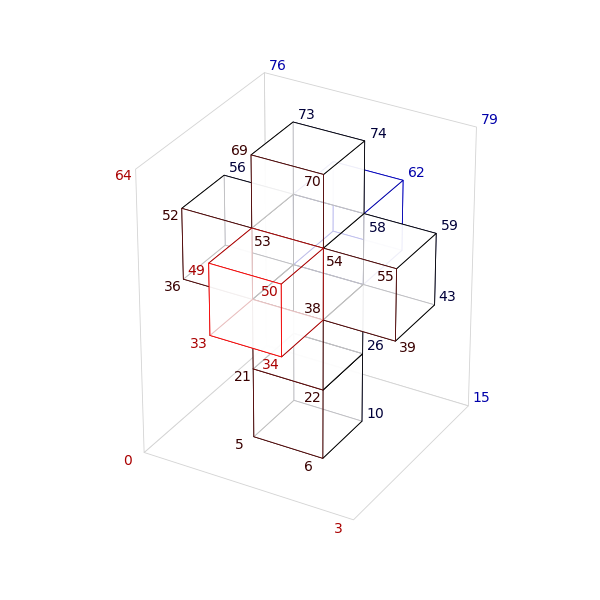 1] in each dimension) to the curvilinear hexahedral element the Block describes. The CoordinateMap also provides the jacobian of the mapping. For spherical domains, Wedge3D implements the cubed-sphere map, and there exists the method wedge_coordinate_maps in Domain/DomainHelpers.hpp to quickly construct six of these maps at once. 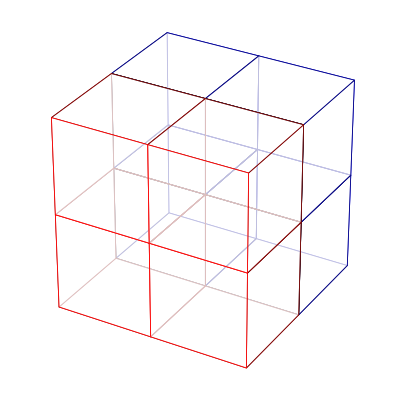 For rectilinear multicube domains, Affine and Equiangular map the logical cubes to cartesian cubes. The method maps_for_rectilinear_domains in DomainHelpers allows the user to obtain the CoordinateMaps for all of the Blocks in such a domain at once. These can both be used to provide the map arguments to the Domain constructor. Each Block must know which of the other Blocks in the Domain are its neighbors and which of its logical directions points to an external boundary. A quick way to encode the neighbor and boundary information for the blocks in a domain is through our convention of numbering and ordering the corners of the blocks in a well-defined way. The corner numbering scheme is described in the OrientationMap tutorial. For spherical domains, DomainHelpers has the methods corners_for_radially_layered_domains and corners_for_biradially_layered_domains, which provides the proper corner numberings for the maps obtained from the method wedge_coordinate_maps. These methods are used in the Shell and Sphere DomainCreators. For rectilinear multicube domains, DomainHelpers has the methods corners_for_rectilinear_domains, which provides the proper corner numberings for the maps obtained from the method maps_for_rectilinear_domains. The first step is to generate the corner numbering for this Domain. For the purposes of this example, we will construct all blocks with their logical directions aligned with one another. As each block must also have an associated block id, we must be aware of the order in which the corners for each block are constructed. The algorithm corners_for_rectilinear_domains always begins with the block located in the lowest cartesian corner of the domain. The second block is its immediate neighbor in the \(+x\) direction, and so on until the block in this row with the highest \(x\) coordinate is reached. The next block is the the immediate neighbor of the lowest corner block in the \(+y\) direction, and then continues through the neighboring blocks in the \(+x\) as before. This is the same order in which the global corners numbers are assigned to the vertices of the blocks. For this choice of arguments we obtain the maps for a domain that extends from 0.0 to 1.0 in the \(x\)-direction, from 0.0 to 2.0 in the \(y\) -direction, and from 0.0 to 9.0 in the \(z\) direction. The domain is evenly partitioned along the \(x\) and \(y\) directions, and unevenly along the \(z\) direction. With the corners and maps in hand, we can pass these as arguments to the Domain constructor. Alternatively, we can exclude none of the blocks in this way and instead selectively copy the block corners from the returned vector into a new vector that only contains the corners for the desired blocks, if one prefers to work with single-number array indices as opposed to tuples.